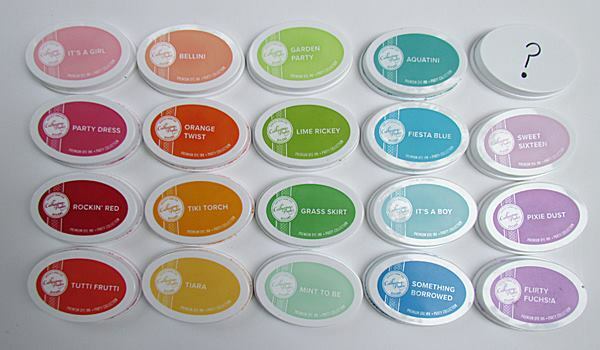 Back in April of 2014, we did a mini-event on StampNation called "Pick-a-Pattern". This week's challenge is to Pick-a-Pattern. 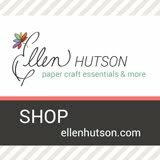 I don't know about you all, but I tend to hoard my patterned paper. Here's a peek at the DT's cards. 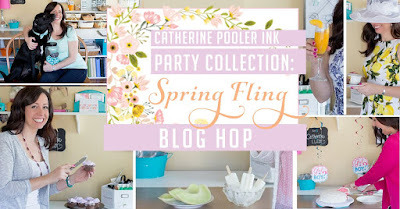 I have another card to share with you today using some more goodies from Catherine's Spring Fling release. I started my card by die cutting a circle from a piece of card stock. 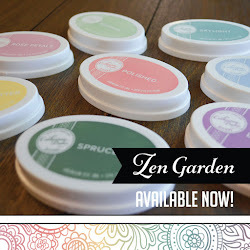 I then stamped the tall flower from the Beautiful You stamp set around the circle. I curved it on my clear block so it would stamp around the circle. I then took the small flower stamp and stamped that around the "wreath" in rainbow order. 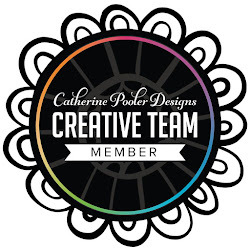 The black circle in the center of the flowers was stamped using one of the tiny dot stamps in the Perfect Reason stamp set. 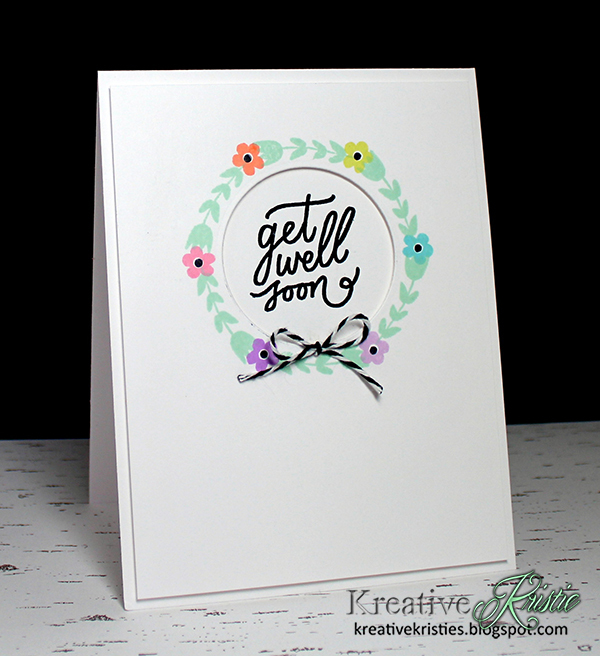 I then took that panel and lined it up over a card base to see where to stamp the get well soon sentiment from Beautiful You. I adhered the stamped "wreath" panel to the card base with dimensionals. I added a little black and white twine bow to finish off my card. 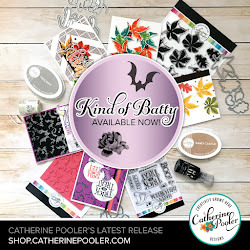 I have another card to share today using new goodies that were released on Thursday by Catherine Pooler. Did you hop along to see all the gorgeousness from the DT? 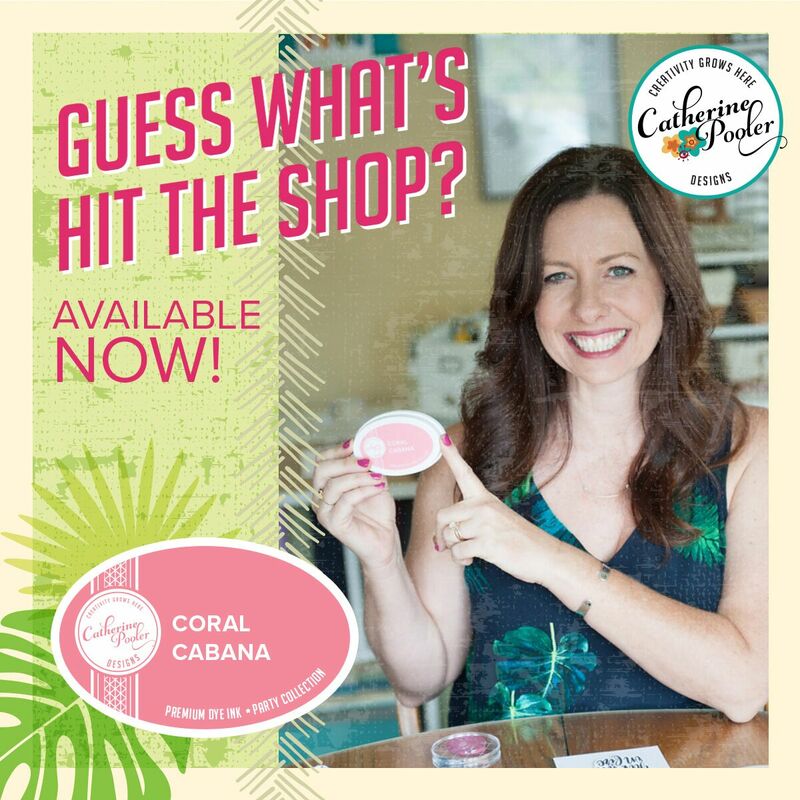 Click HERE to visit my stop on the hop. 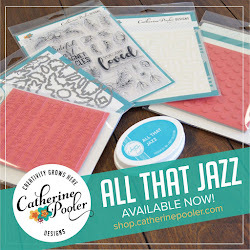 I used all the blue inks that Catherine has available in her store. It's a Boy (NEW), Fiesta Blue & Something Borrowed. I stamped the row of dots stamp from the Simply Stated stamp set across my card panel. 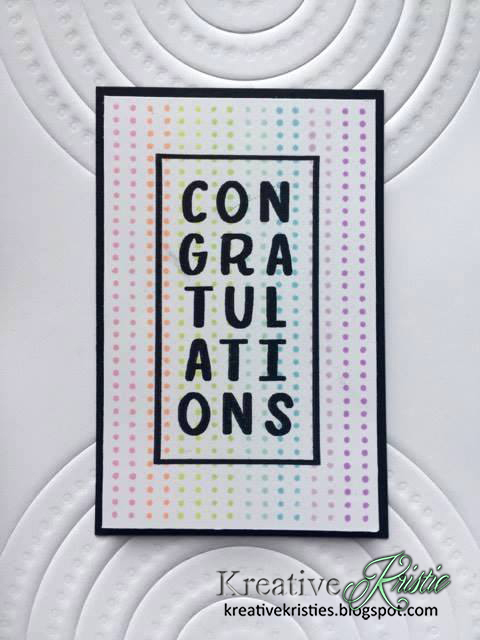 Stamping the dots twice in each color. 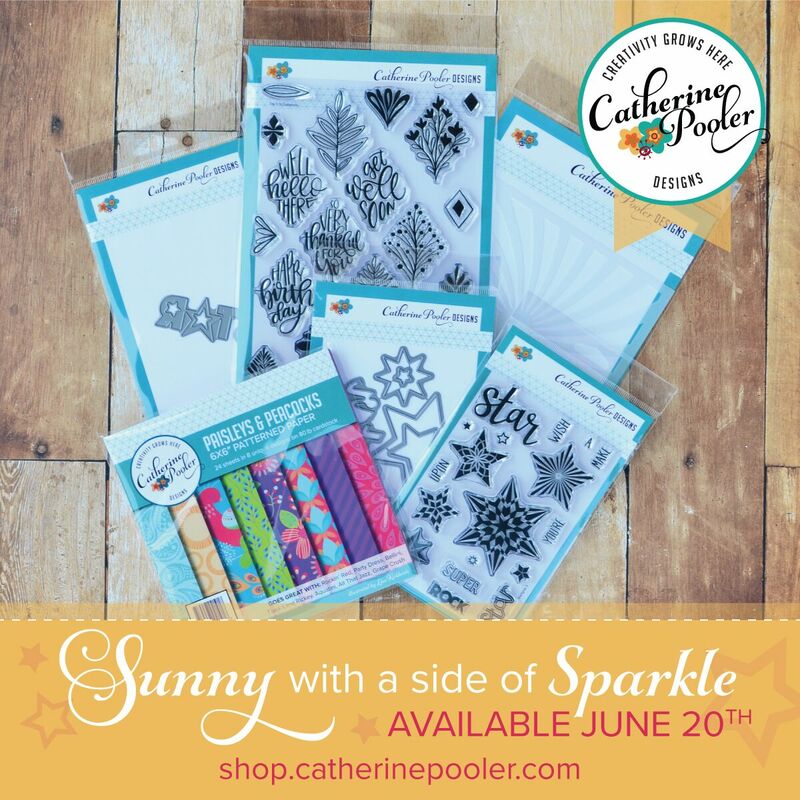 The die cut sentiment, Happy is also NEW! I cut 3 from black card stock and layered them on top of each other to add some dimension. 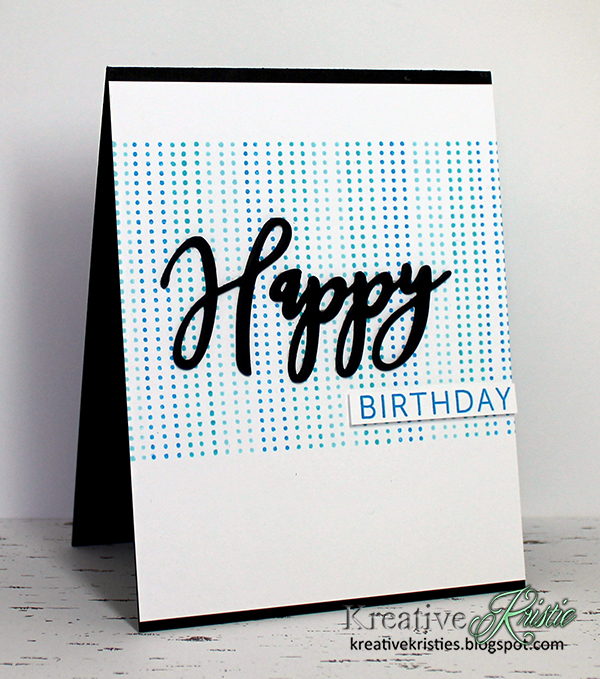 Stamped the birthday sentiment from the Spot On stamp set onto white card stock and trimmed it out. 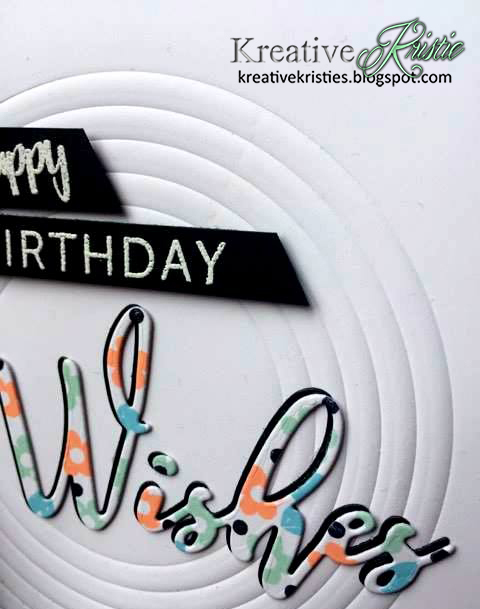 I think this makes a great clean & simple masculine birthday card, what do you think? Hi everyone! Welcome to Catherine's Ink Party Collection: Spring Fling release blog hop! You should have arrived here from Lisa's blog. 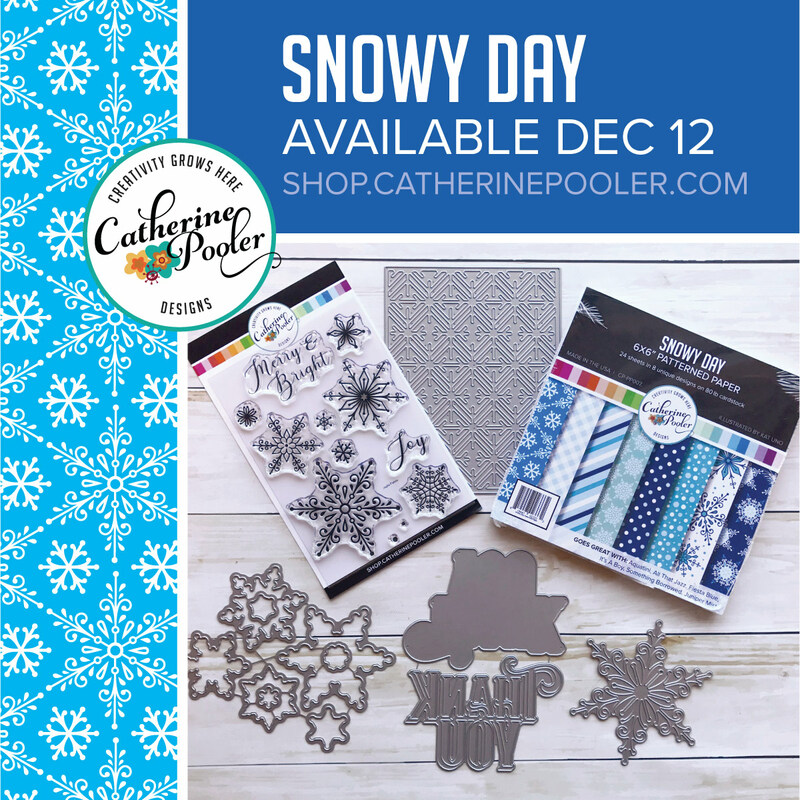 If not head on over to Catherine's blog to start at the beginning. 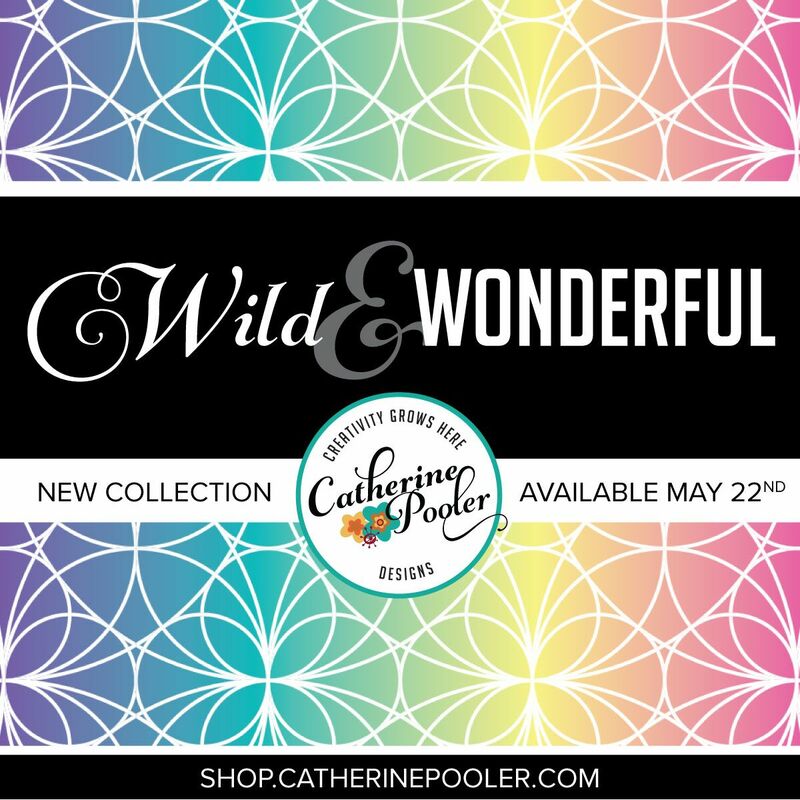 Catherine is releasing 8 new, beautiful ink colors along with other stamps and dies. 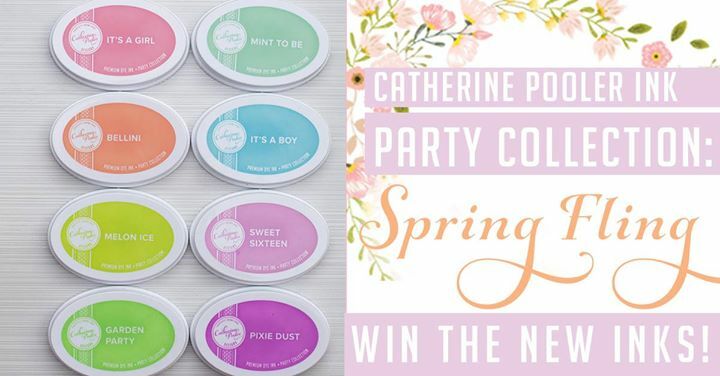 The new ink colors are an extension of the Party Collection - they are all pastels and will be sold together as a bundle, as well as individually. You can purchase these inks HERE starting today. 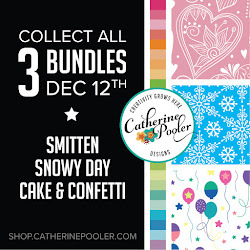 PSSST, I have a code for you to use to get 10% off your first order at Catherine's store. CLICK HERE!!! WOOT!!! My first card today uses the new Circle dies, one of the Spot On Sentiment dies and the tiny flower and leave stamp from the Simply Stated stamp set. The ink colors I used are Bellini, It's a Boy, Mint to Be and Midnight. 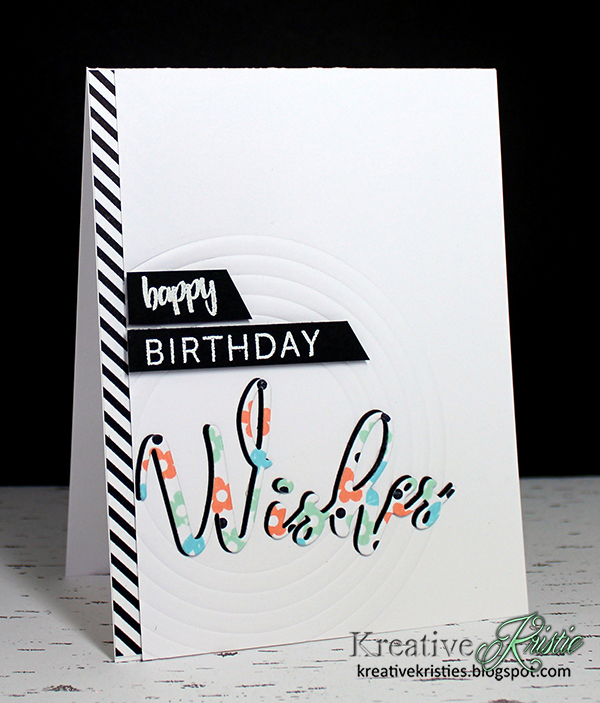 The sentiment "happy birthday" is from the previously released Spot On stamp set. A close up so you can see the embossed circles. 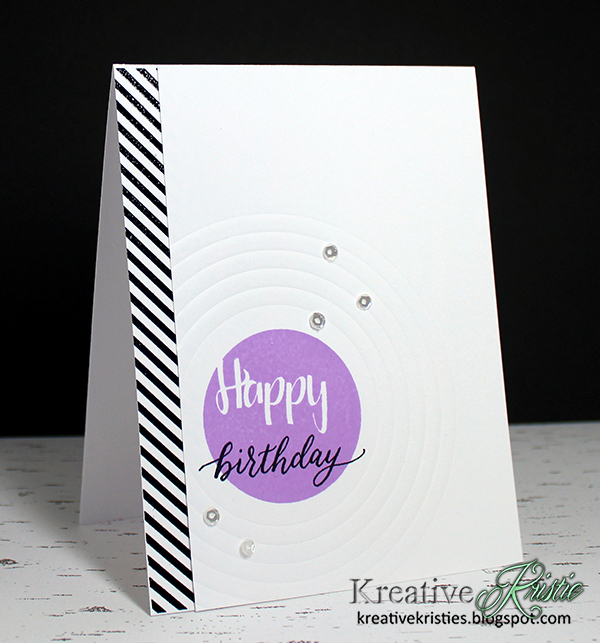 This card features the Dotted Circle dies and Simply Stated stamp set. 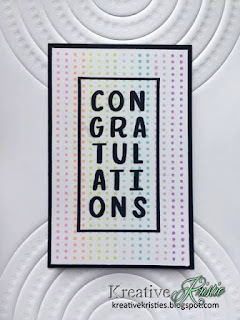 I used all the new ink colors on this card. 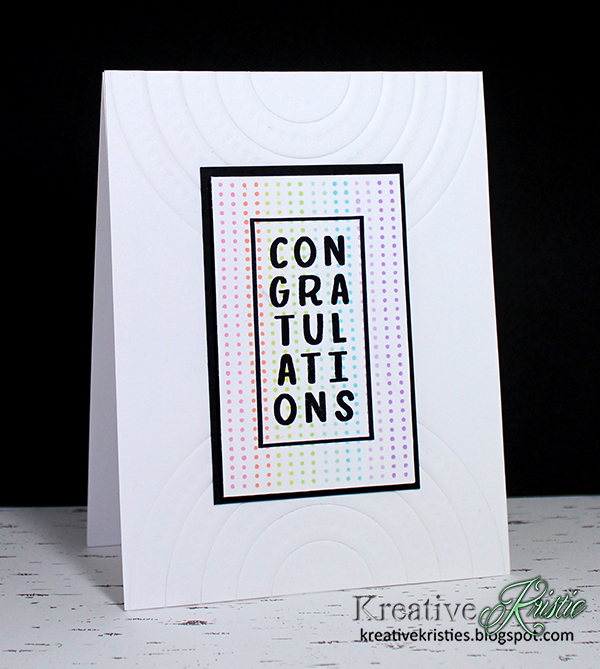 I love the line of dots stamp that comes in this set as well as this congratulations stamp. 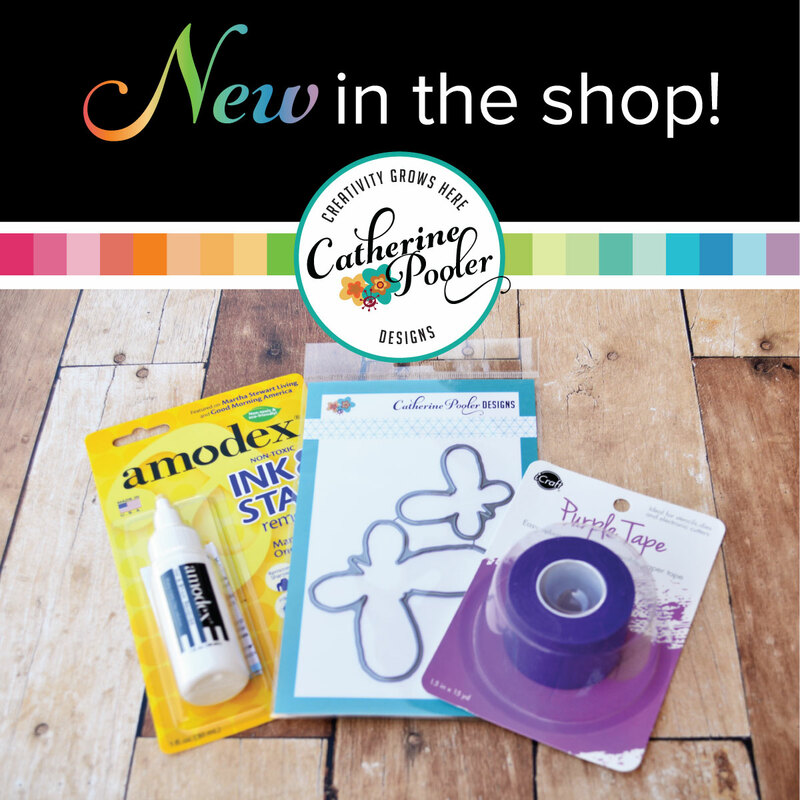 I was on an "embossing with dies" kick when creating with these new goodies. 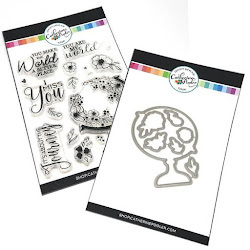 Catherine will randomly choose 3 winners from all the blog hop comments to win a set of ink (or a gift certificate of equivalent value if you have already purchased the inks). 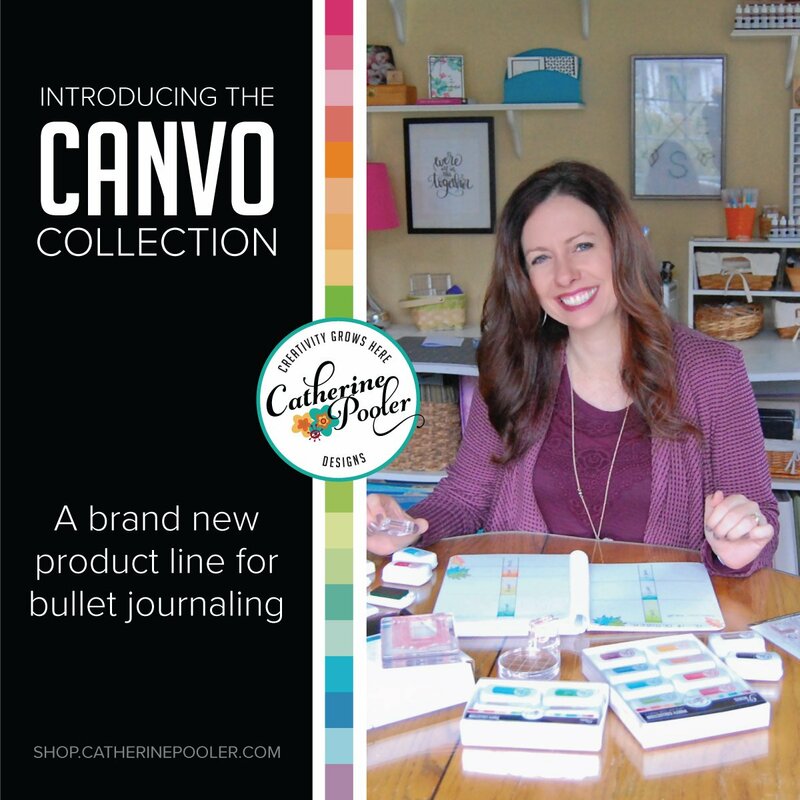 Leave a comment by Monday, April 24th at noon (EST) on ALL THE HOPPERS blog posts for your chance to win. Time to hop along to the next blog which is the awesome Laurel Beard! 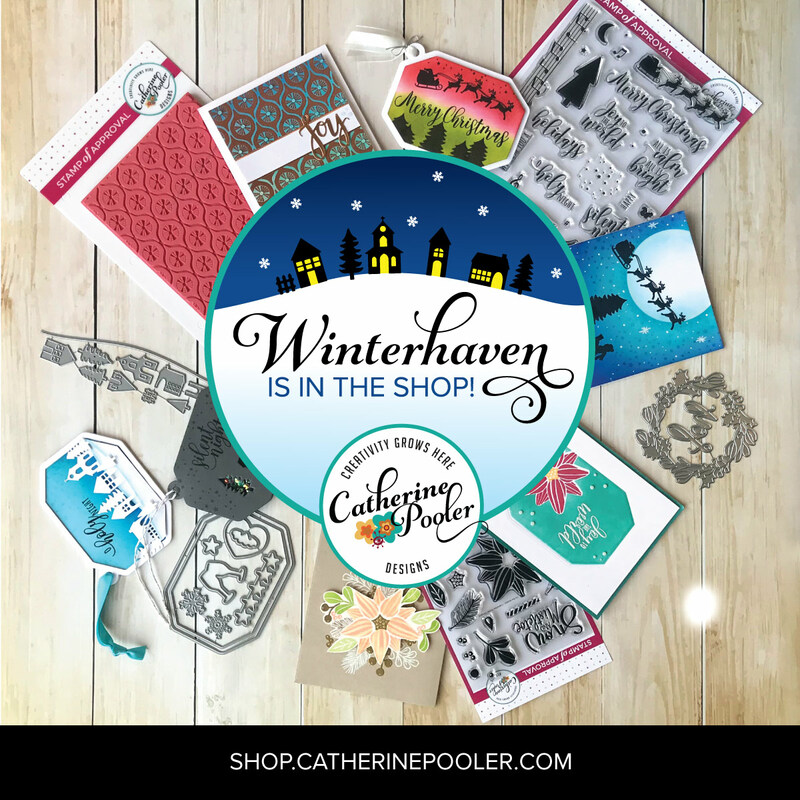 Here is the complete blog hop list. Catherine Pooler Spring Fling Sneak Peek & StampNation Challenge Peek! 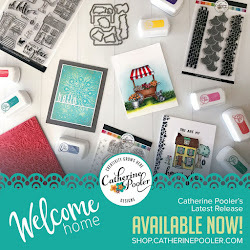 Tomorrow is the day, Catherine Pooler is releasing 8 new ink colors and some awesome new stamps & dies. 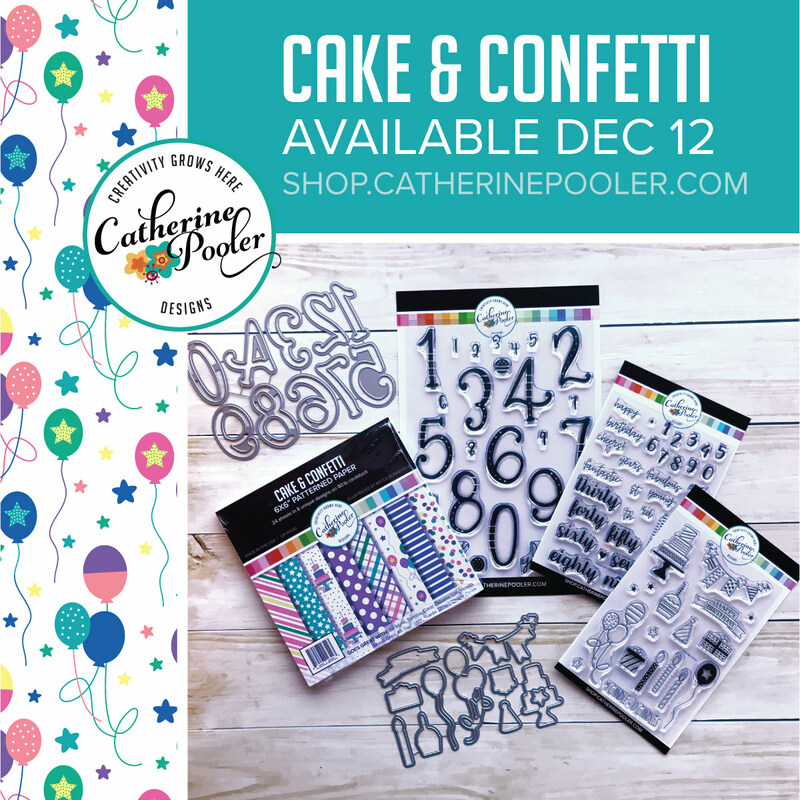 The Dream Team will be participating in a blog hop tomorrow to celebrate the occasion. BUT, today I get to share one of the cards I made using some of the new goodies. YAY! 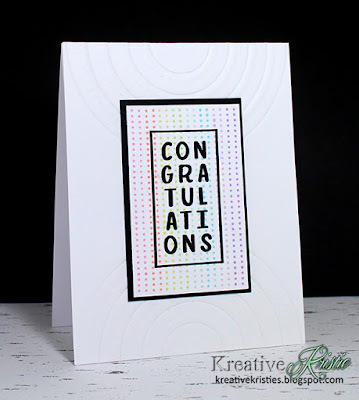 I absolutely love the new ink color Pixie Dust, that is what I used to stamp the Happy from the previously released Spot On stamp set. 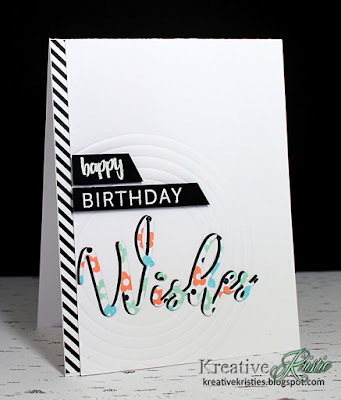 The Birthday sentiment is from a new set called Simply Stated. See the embossed circles around the sentiment? Yes, new circle dies are also being released that match the Spot On stamp set. WOOT!!!! There is ONE more ink left that has to be revealed! Play along HERE! 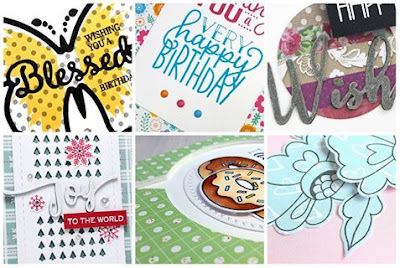 Here is a peek of the DT's cards for the weekly challenge over at StampNation. Absolutely love the colors in the mood board that was the inspiration for the challenge. 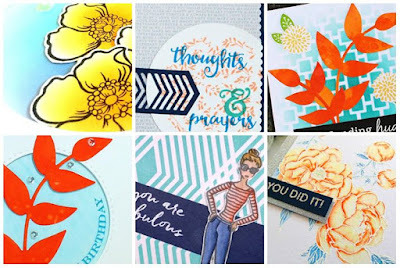 Thank you for visiting and see you again tomorrow for the blog hop!